Alexandra Davis studied Children's Literature at New York University. Since then, Alex has also worked in the legendary New York children's bookstore, Books of Wonder, on 5th Avenue selling high-fashion shoes and handbags, and at home raising a curious little boy. 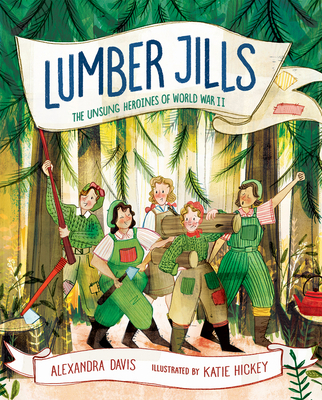 Lumber Jills is her first book. Katie Hickey studied at Falmouth University. Since graduating, she has worked for various clients ranging from greeting card companies, magazines, and publishers.